The participants capturing a moment at rooftop of Menara Razak. 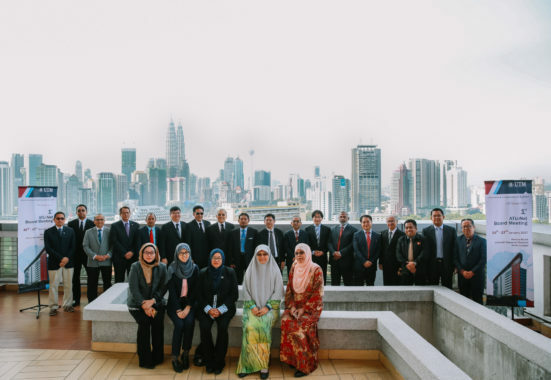 KUALA LUMPUR, 17th January: The 1st Asia Technological Universities Network (ATU-Net) Board Meeting was held at LPU Meeting Room, Menara Razak, UTM Kuala Lumpur. 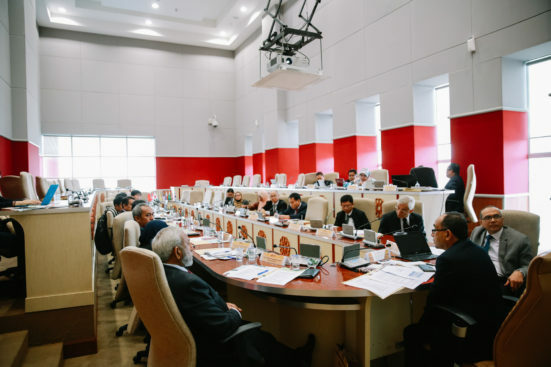 The meeting was attended by representatives from 11 universities from eight countries and chaired by Datuk Prof Dr Wahid Omar, Vice Chancellor UTM. Among the attendees were university presidents, vice chancellors and deans of International Offices from 11 founding members including UTM as the chairman, HITEC University, Pakistan; King Mongkut’s Univesity of Technology of Thonburi, Thailand; Universiti Teknologi Brunei; Mindanao State University- Iligan Institute of Technology, Philippines; Institut Teknologi Bandung, Indonesia; Seoul National University of Science and Technology (SeoulTech), South Korea; Suranaree University of Technology, Thailand; Shibaura Institute of Technology, Japan; Universiti Malaysia Perlis and Universiti Tun Hussein Onn Malaysia. Vice Chancellor Professor Datuk Ir Dr Wahid Omar chairing the meeting at Menara Razak, UTM Kuala Lumpur. The one-day meeting started with a pre-meeting workshop to discuss issues of governance and membership, followed by the board meeting discussing proposed activities and other matters. Prior to the meeting, a welcoming dinner was organized on 16th January 2017 to welcome all participating members. 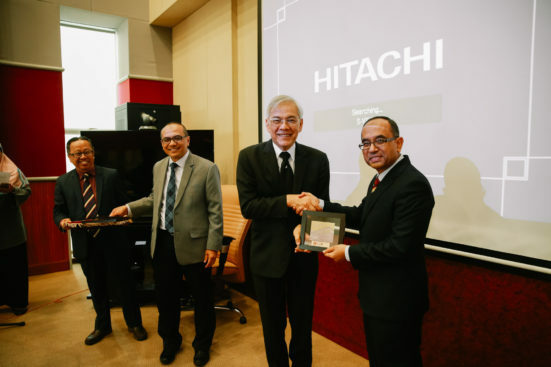 ATU-Net was launched on 9th August 2016 during the 8th University Presidents Forum at UTM Johor Bahru with the objectives to provide opportunities for capacity-building, student and staff mobility, joint teaching, and research collaboration among technological universities in Asia. The network will also provide member universities with opportunities to share best practices in producing innovative and entrepreneurial graduates in sustainable environment.